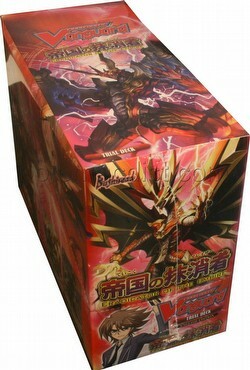 Conquer and eradicate with Toshiki Kai's Eradicator of the Empire trial deck. Unleash devastation with the new Break Ride mechanics of the Narukami. This preconstructed trial deck can be used out of the box and comes with exclusive trial-deck-only cards for both ardent collectors and new players to enjoy. There are 6 decks in each box. Each deck includes a 50 cards, a starter's guide, a rulebook, and a playmat. There are 18 different cards including 16 trial deck exclusive (3 holo cards, 1 alternate art card, and 12 regular cards).